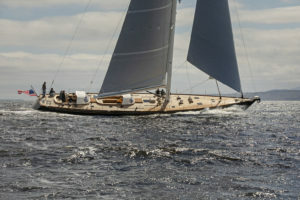 Sonny III, 91-foot Bruce Johnson design built by Brooklin Boat Yard. 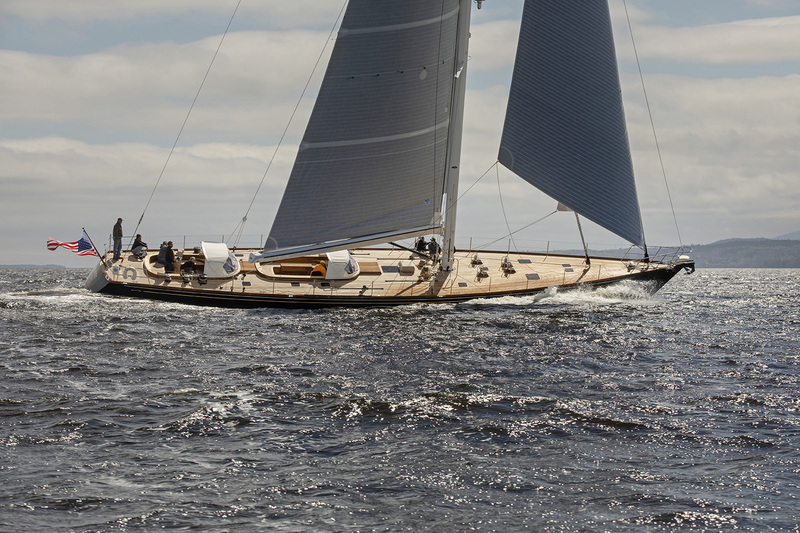 MAY 31, 2018 — Brooklin Boat Yard of Brooklin, Maine, has completed construction and launched a 91-foot custom cold-molded sloop. 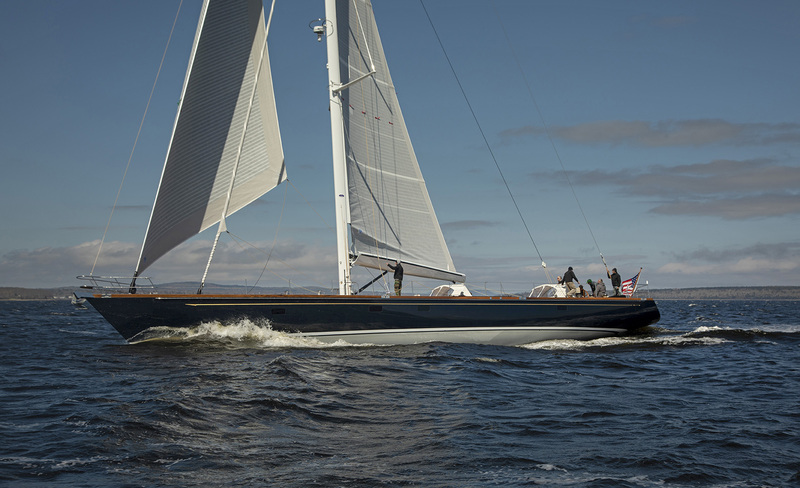 Built for a repeat customer, SONNY III is a high-performance cruising yacht designed for daysailing and blue-water passages. 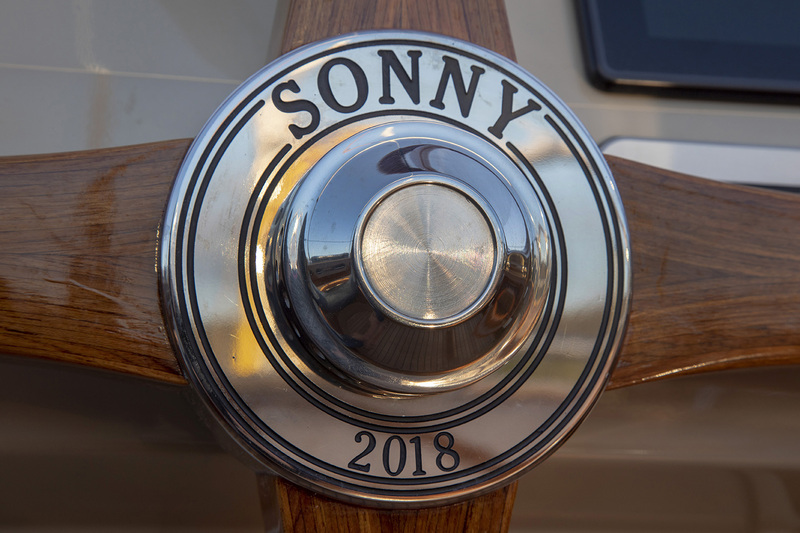 Construction on SONNY III took 18 months; the finished yacht launched last month and was christened in May 2018. She recently completed sea trials. 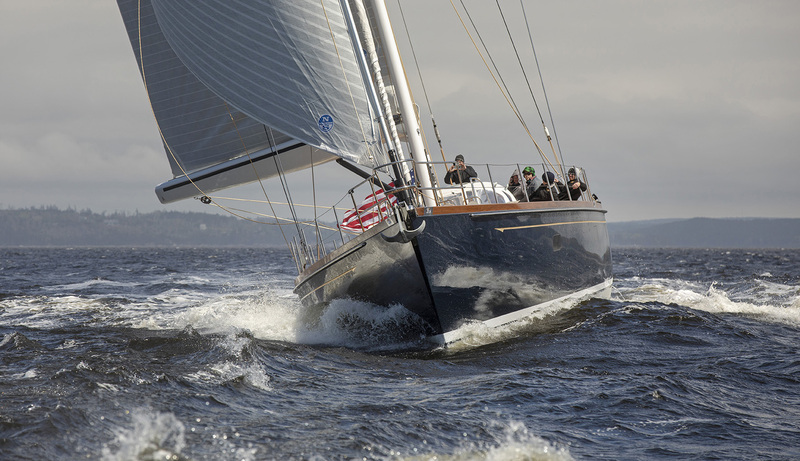 Designed by Bruce Johnson and the Brooklin Boat Yard design office, SONNY III is a larger replacement for the owner’s current 70-foot yacht, also built by Brooklin Boat Yard. 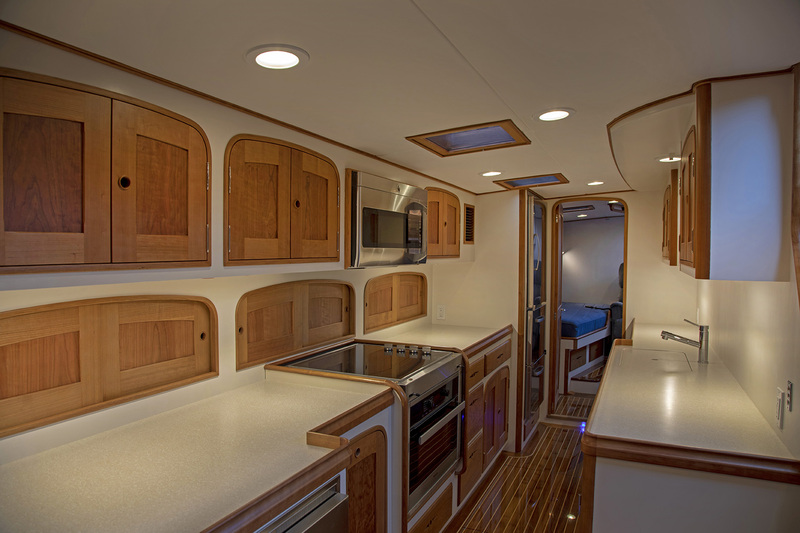 The owner is a retired senior with limited mobility who requested a yacht with more accessibility. 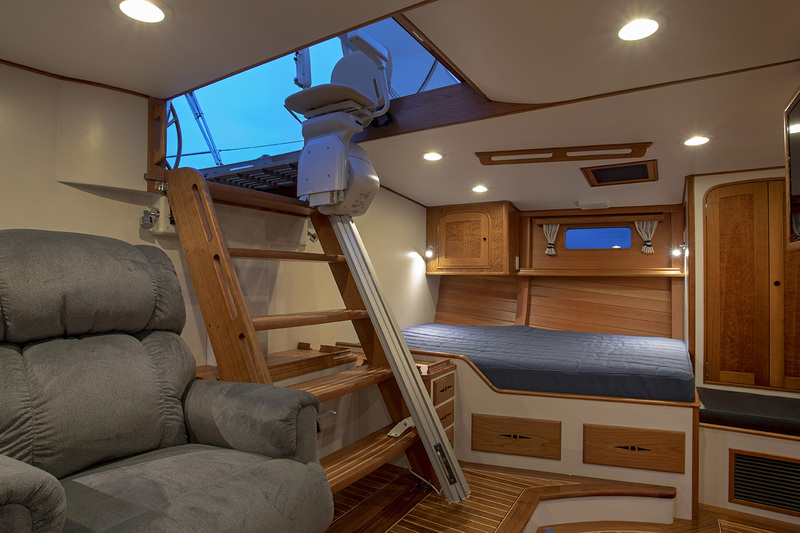 SONNY III provides numerous solutions to the owner’s mobility concerns, including chair lifts at each companionway, a power reclining chair in the master cabin, a side-boarding ladder and a transom-boarding platform. 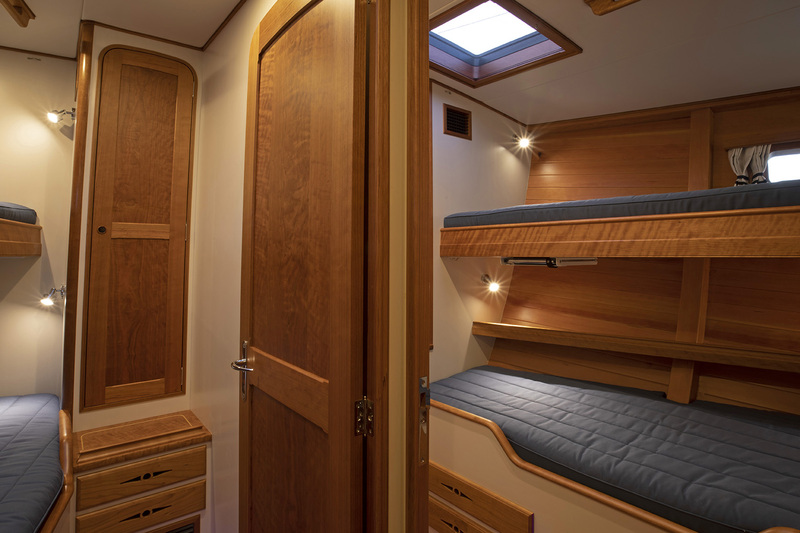 The interior layout includes a crew cabin forward with private head and stall shower, two guest staterooms forward of the mast, one with ensuite head and stall shower and the other with a day head, also with separate shower. The main salon has an elliptical dining area and a navigation station. Access to the full beam master stateroom is either through the portside passageway or through the generous galley to starboard. The master stateroom features an ensuite head with stall shower. 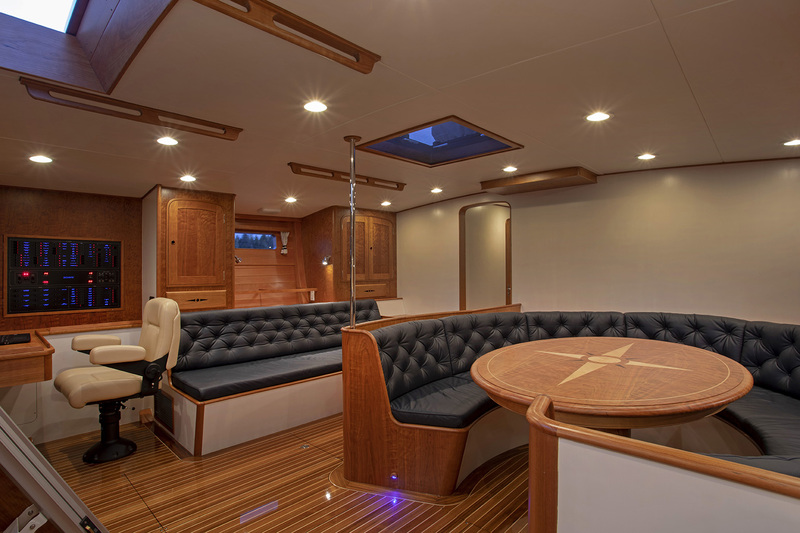 The interior is finished in Herreshoff style with white and cream paintwork offset by American cherry joinery, leather upholstery and a teak and maple cabin sole. 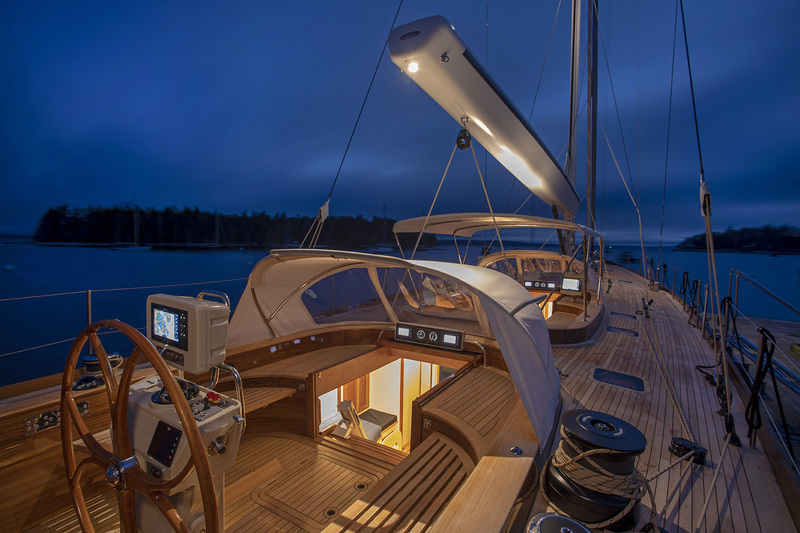 SONNY III’s cold-molded, laminated-wood hull used WEST SYSTEM epoxy resin and vacuum bagging. The hull and deck have carbon reinforcements in specific high-load areas. The ballast keel is a steel foil with integral tanks and with a lead bulb. The rudder is a carbon spade design. Due to the tight build schedule and other construction commitments, Brooklin Boat Yard subcontracted the hull and deck construction to Rockport Marine of Rockport, Maine. 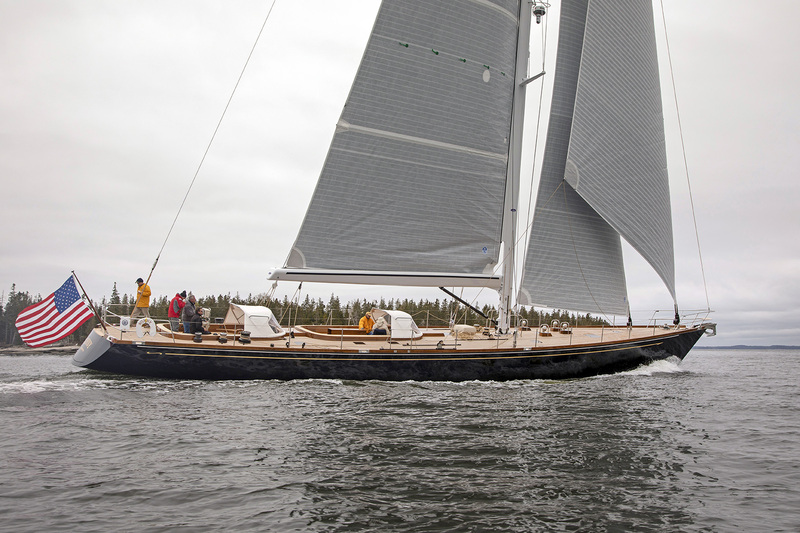 Brooklin Boat Yard has had similar arrangements in the past, including the construction of the composite deck for SONNY II by Front Street Shipyard and the construction of the hull for the 76-foot sloop GOSHAWK by Rockport Marine. View more information about SONNY III.